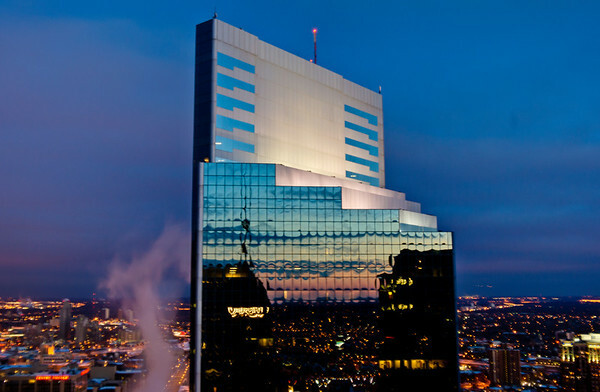 Here’s a couple views of the Campbell Mithun Tower (formerly Piper Jaffray when constructed) in Minneapolis. 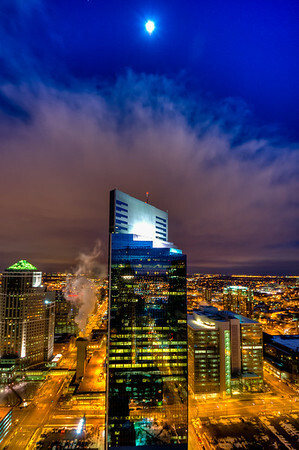 This was taken from the Foshay Tower observation deck now the W Hotel. The observation deck is open air and costs about 8 dollars to go to the 30th floor museum and 31st floor observation deck. If you go in late October at around 6PM you’ll see a magnificent sunset followed by the city lights glowing as night settles in. The deck closes at 7PM. You can go in the spring as well around early March. It’s worth a visit any time of year but those are the best times for photos in my opinion.